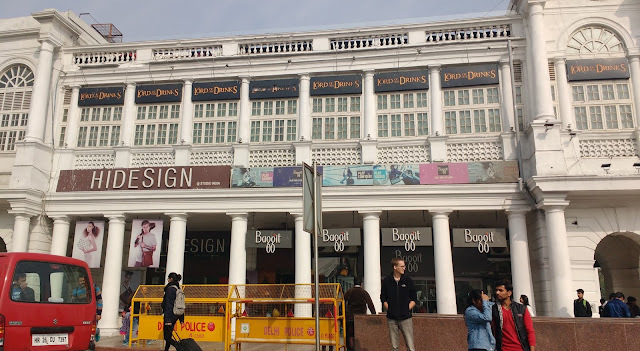 With all the big brands showrooms occupying the prime space in connaught place, the market is designed for those who are looking for premium products and ambience. Set in the old buildings built during the British era, refurbished and renovated to suit modern tastes and choices, this place is busy as well as quiet with an old world charm around it. 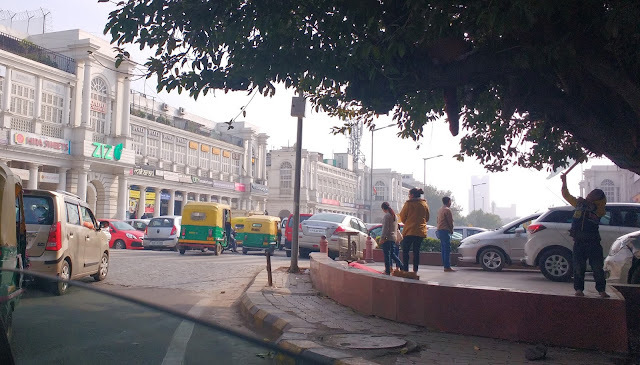 This place is still called by its old name inspite of being renamed as Rajiv Chowk and Indira Chowk. 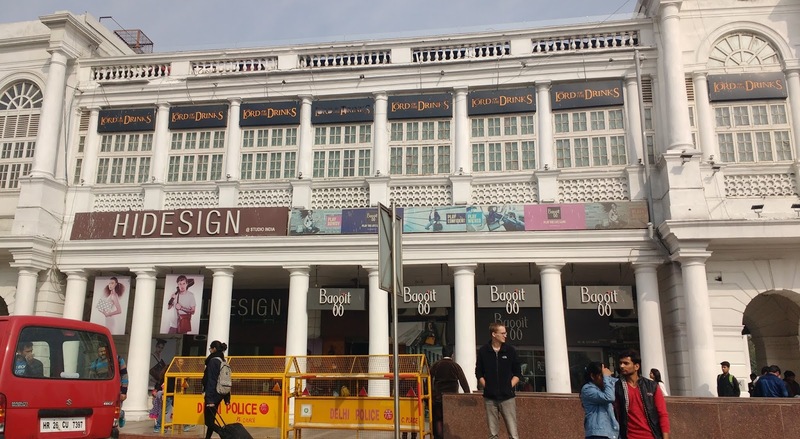 It has been one of my favourite haunts and I could roam around alone along the corridors and collonades of this beautiful shopping paradise for hours without getting bored. There is always a passive humdrum of people around. When I don't want to buy anything, it gives me the simple pleasure of looking around and do a bit of window shopping. There are a variety of things that one could buy outisde of these showrooms too. Small shops with Indian handicraft items, books, posters with beautiful quotes, little trinkets are all sold along the paths. 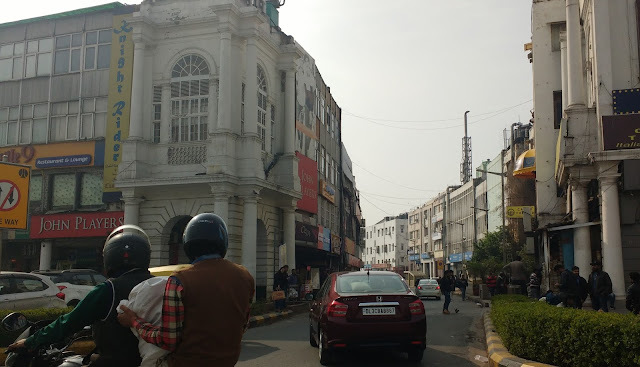 Most of these buildings have been built by the Britishers but there are some little buildings from the Mughal and the Indian Rajas also around. The big roundabout of the Connaught Place covers a circle of multiple layers of buildings. There is an outer circle, middle circle and inner circle of buildings. Apart from the showrooms, these buildings houses offices and corporate houses of different organizations. There are banks, restaurants, panwalla's, coffee shops, travel agents, etc. The offices and business houses around this place ensures a regular flow of people into this area from all around Delhi. 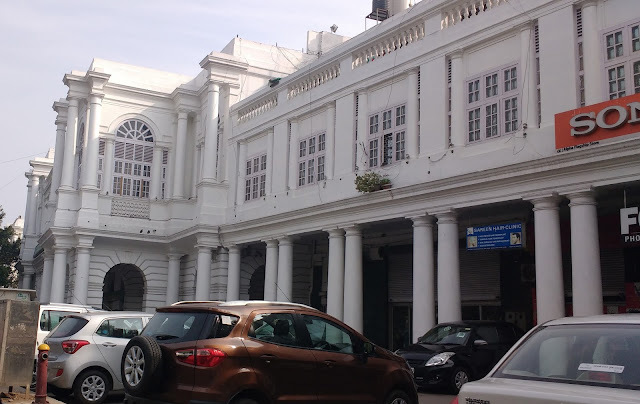 It is also the central part of Delhi and all roads from every direction in Delhi come and converge at this point. In the centre of these circles is a huge round park which has recently undergone a huge makeshift from the park I knew of some 10-15 years ago. 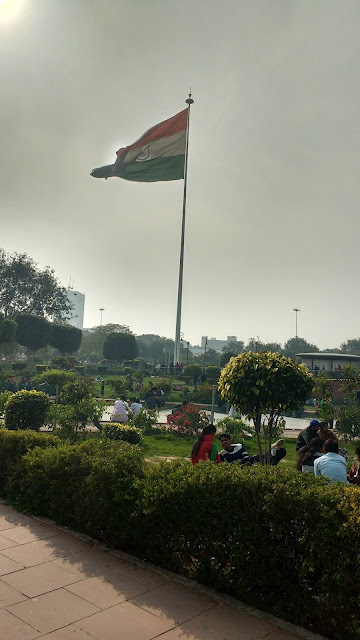 The Rajiv Chowk Metro Station and Palika Bazaar lie below this park. This park now has a huge big Indian Flag with a small amphitheatre built-in the centre. 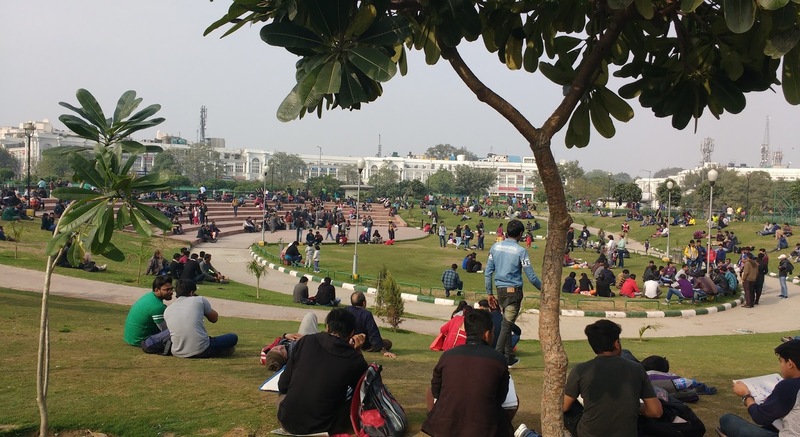 People from all around come to take a little break and relax in the sun during winter days. On Sundays too, when the market is closed there are people in huge numbers occupying this place. This has turned out to be more than a shopping place - a tourist attraction, picnic spot and a place where one can just spend sometime with the loved ones! !